Freestyle Wrestling is by far the toughest sport on the planet. You have to constantly push yourself and strive to get better and learn from your mistakes to be successful. Did you know most wrestlers will lose more than they win when they first start wrestling? Losing is a natural part of wrestling. A wise person once told me to listen to people who know more than me. I have learned this applies to wrestling. It doesn’t matter if you’re a youth wrestler or an experienced high school wrestler. If a wrestling coach takes the time help you by offering advice to become a better wrestler, you listen to that coach. In most cases that coach has probably forgot more about the sport of wrestling than what you know. Any good wrestler is better at certain aspects of a wrestling match. 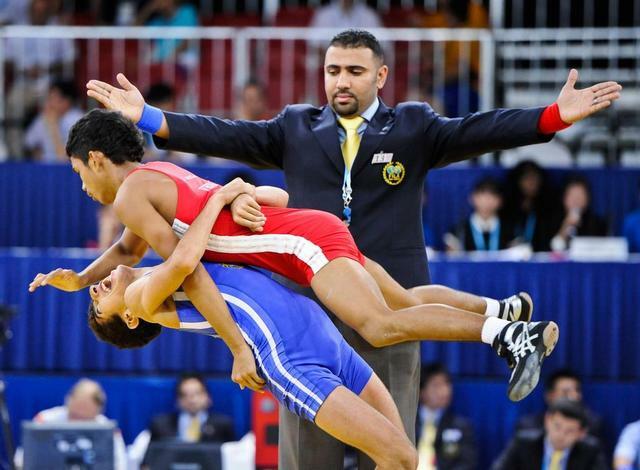 For example, a wrestler may be better in the top position than the bottom position. A wrestler needs to know what a kid is best at and try to put himself in that situation. Likewise, a wrestler should know what his opponent is good at. Your game plan should be to stop an opponent’s attack by defending his best moves. For example, if a wrestler executes the best fireman’s carry you have ever seen, then you avoid tying up with that particular wrestler. A good wrestler understands the sport and how to avoid bad decisions. This means knowing how much time is left in a period, where you are on the mat, whether to attack or defend, etc… This comes with lots of mat time. Wrestling is a sport where most people will lose more than they win. That is why I tell people that wrestling imitates life. Successful people fail more than they are successful. The important aspect of wrestling is to never quit. You identify your mistakes and you learn from them. There is many clubs around who offers good coaching and summer wrestling camp. There is many wrestling club in NY too One the best wrestling club that I’ve known is VhwClub . Have you considered putting your child in freestyle wrestling? Well in recent time I learned a lot about both styles of wrestling. Both Greco and Freestyle wrestling are very dynamic and exciting. Each one has its slight differences. In this blog I want to tell you about freestyle wrestling . Freestyle wrestling is a combat sport which confronts two male competitors who try to gain control over their opponent through the use of throws, locks, leg trips, and clinching techniques. Contrary to Greco-Roman which only allows the use of the upper body, all Freestyle holds can involve the legs in order to ultimately pin the the opponent’s shoulders to the mat. If a wrestler manages to do so, victory by “fall” is proclaimed, otherwise, the match pursues until the end of the regular time and the winner is decided according to the technical points scored. Currently, men’s freestyle wrestling is divided into four main age categories internationally: schoolboys, cadets, juniors, and seniors. The time is now to learn freestyle wrestling. Whether you just want to improve your wrestling technique and skill, become a state placer or champion, or even want to become a World and Olympic Champion, freestyle wrestling is mandatory to become successful. If you have high wrestling goals, freestyle wrestling must be a part of your yearly wrestling plan. There are many wrestling club in United States who offers you good coaching. But one of the best that I’ve know is vhw wrestling club. It was time when I was just 16 years old studying in a school when one day a wrestling coach came and told us about this sport because in next few days some students were going to be chosen for ny wrestling competition. That coach told us everything about this sport and how beneficial it is and how one can get benefited with it if learns it. The one thing which I liked most about it was the thing that it is one of the few sports which is played in Olympic Games and that thing attracted me because I knew that in this sport I could make my career. Next day in school some techniques were going to be taught by the coach for preliminary preparation provided we could get into a wrestling club and could take part in NY wrestling competition. Some students including me were taught some techniques by the coach. I think it was the best time when I learned something essential and needed for life thing in my life. Some wrestling lessons which I learned in school change my total scenario towards the things. I realized that this sport is not just about winning or fighting, it is just about self confidence. After some time I joined a summer wrestling camp near my town where I learned many thing about this sport and about its techniques and I knew that this sport is practiced around the world then I knew that I was not the only one who was learning it there were many who were learning it. 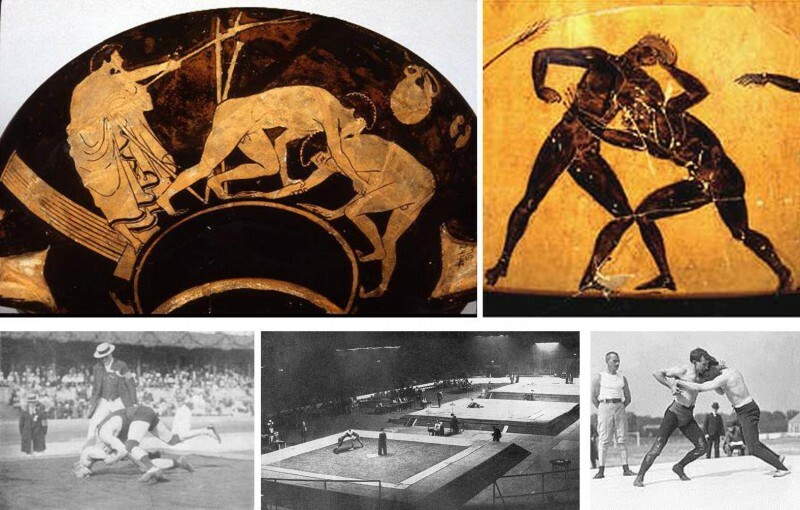 I also knew that it is the one of the oldest and organized sports in history. The wrestling which I was learning is a type of free style wrestling and has its origin in ‘catch as catch can’ wrestling. The one thing I was taught during my training in wrestling club was an ultimate goal of this sport or you could say a final punch to your opponents. It was just to throw and pin you opponent down to the mat which resulted in a win. I defeated many keeping this goal in my mind and won an Olympic Gold medal. At that time I was 24 only. After winning a gold medal I was preparing for another competition where I was bestowed with many awards and remarks like strong man, great man, tough man and many others. Listening these words were a great experience for me and it seems good when in a crowd of thousand and million people you are greeted with these words and comments. After winning awards I am now running my own summer wrestling in long island where I am giving training to many young and wannbes wrestlers. If you want to join you can also come to summer camp in long island where many come and I want to thank that wrestling coach who came to my school at that time and told me about this sport. I love this sport and want to excel it more and want to win it more and also want to teach others provided they can learn about this sport. It is not only for winning competitions but also for self defense provided you could be afraid of nothing. For me wrestling is the thing which gives me everything and I like it because it makes me powerful and seem like I am flying high in the sky.